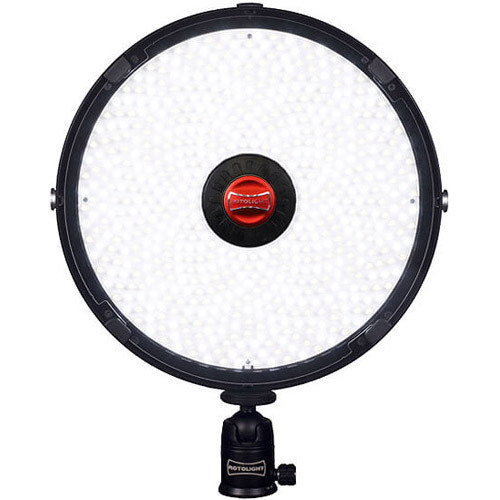 Apowerful, ultra-portable, bi-colour LED light that brings tremendous versatility to any shoot. Designed for portrait and location photographers and videographers on the move, AEOS is a bi-colour, location LED light with a unique ‘ultra-thin’ design concept. Weighing in at under 1.5kg and just 1cm(<1”) thick, AEOS is one of the most portable lights on the market. HSS provides a powerful HSS flash mode with zero recycle time at 200% of the maximum continuous light output for traditional photographic workflows,enabling you to ‘freeze action’. 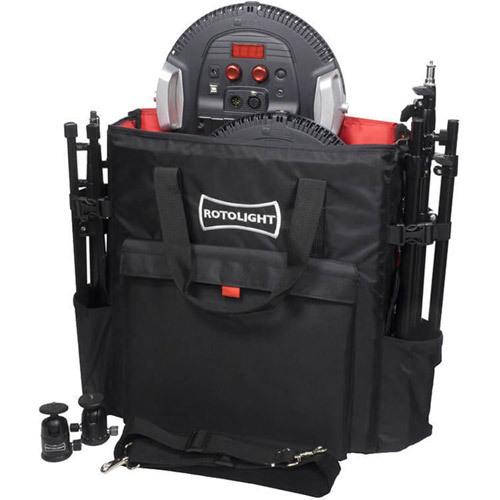 This feature eliminates the need for users shooting both stills and video to buy a strobe, as it provides an all-in-one solution. Provides a suite of customizable cinematic lighting effects, such aslightning, fireand TV flicker to enhance your video production. Calculates and displays F-stop for a subject at a given distance,eliminating the need for trial and error shooting, or a light meter. LED phosphor technology ensures the AEOS delivers exceptional colour rendering (CRI:96+, TLCI 91)eliminating the need to spend time and money correctingcolour and skin tones in post production. Featuring a powerful light output (5750 lux @ 3ft), industry leading colour accuracy (CRI:96+) for perfect skin tones, and unrivalled battery performance (3 hours on a single 95 w/h battery), AEOS is the ultimate light for any location shoot. Uniquely, AEOS includes integrated aluminium handles, giving you the freedom to ‘work the light’ to achieved your desired lighting setup. 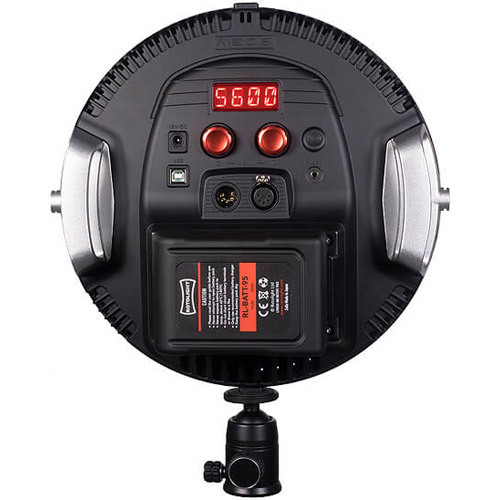 A high quality professional ball head is also included as standard, providing full 360° rotation and 200° of tilt when mounted on a light stand. AEOS simply eliminates the need for time consuming lighting setups, providing you more time to unleash your creativity, and to compose the perfect shot..
3150 Kelvin – 6300 Kelvin, integrated accurate Kelvin display. Local, DMX, or PC sync (Flash). 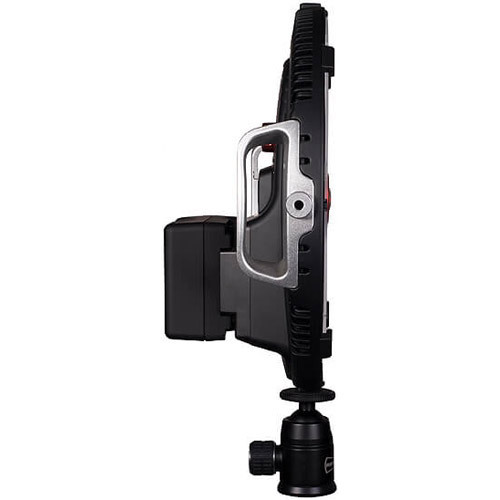 Compatible with any HSS flash trigger received with PC sync socket. 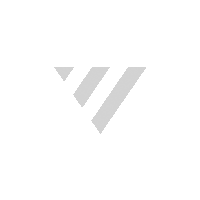 V-Lock Battery or Mains Power, (42W consumption at 100% power). Delivering over 3 hours run time on a standard 95 w/h battery.